Alternative medicine might sound a bit questionable: Are you really helping people with alternative methods, most of which are regarded as scientifically unsound? While the placebo effect might be in play in some instances, alternative medicine seems to have something real to offer. Modern Western medicine does have limitations. Fight those limitations by getting your alternative medicine certification. There are so many ways you can help people who are otherwise without hope. Complementary and alternative medicine are ultimately the same thing; however, the “complementary” part emphasizes the role of alternative medicine in complementing conventional biomedicine – the dominant medicinal approach of the West. Biomedicine refers to the use of drugs and surgery, based on results of the scientific method, to heal diagnosed ailments. In the West, the emphasis is more on disease-curing than on general health. Since general health has a lot to do with whether disease occurs, this is arguably a problem with the traditional Western medicinal approach. Alternative medicine is, in some sense, gaining a foothold in the modern establishment. The D.O. (Doctor of Osteopathy) is generally on equal ground with the more traditional M.D. (Medical Doctor). Osteopathy is the manipulation of bone and muscle tissue to heal ailments; historically, this has been regarded as alternative medicine. However, the D.O. degree is an advanced degree and there are many ways to start helping people with their ailments sooner and, perhaps in a more effective way, than the average D.O. degree-holder can offer. Yoga and Ayurveda are popular alternative approaches with ancient Indian roots; like many other complementary/alternative approaches, they are aimed at promoting health, rather than curing specific ailments. Those who are disillusioned with the West’s emphasis on curing disease frequently look to Indian methods to create greater health and physical robustness. Other alternative approaches include naturopathy and homeopathy. Naturopathy is the use of non-invasive techniques to promote self-healing. It draws on vitalism (the notion that living beings are materially different from nonliving) and folk medicine (use of certain plants and plant extracts to heal discomforts). Naturopathy is generally debunked by modern science; however, it is possible that, for some, these approaches somehow happen to work. Also, science is never a done deal, so it is important to be open-minded. 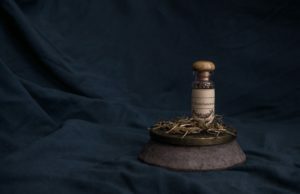 In a similar way, homeopathy is debunked but still sought-after as an alternative: homeopathy is the theory that a substance that invokes symptoms in a well person will cure these symptoms in a diseased person. It flies in the face of modern medicine, which is generally allopathic in its approach. Much more intuitive, allopathy is the use of substances that reverse symptoms, as opposed to homeopathy’s ironic use of substances that invoke symptoms. There are also alternative/complementary medicine approaches that involve energy healing and body manipulation. Energy healing is the scientifically unsubstantiated theory that a practitioner can channel beneficial energy to a patient. Bodywork healing involves hands-on external manipulation of muscles, bones, and joints to reduce discomfort; it also involves such approaches as breath training, posture awareness, and mind-body connection methods to improve health. The very popular field of chiropractic medicine is in this category. ExpertRating is a website that offers certification courses and exams for almost every area in which you could want certification. If you peruse the site, you might find that you can get certification in areas you did not even know of; perhaps you are only a few easy steps away from being certified in some area. 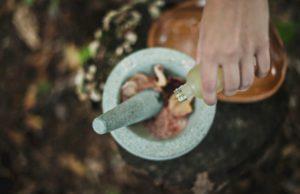 If alternative medicine is not your calling, there are many options, aside from the alternative medicine certification. ExpertRating provides a total of over 3 million online certification courses and tests every year, with its more than 800 different skill tests. The site is frequented by individuals and corporations alike. All of the certification tests on ExpertRating are ISO-certified. (ISO is the International Organization for Standardization.) Also, the tests on ExpertRating are used by people all around the world. Therefore, you can generally assume that your ExpertRating certifications are internationally recognized. It is no wonder that some of the world’s top businesses, such as Google, Amazon, and GAP purchase the ExpertRating platform to get their workers certified. If you already have your complementary and alternative medicine certification from ExpertRating, then consider specializing or honing your skills with certifications in subareas of alternative medicine. Consider a yoga, Pilates, healthy eating, meditation, stress management, or fitness certification. (Note that there are many subareas of fitness, too, such as youth, aerobics, balance, kinesiology, strength, and more.) You can also get certification in such medically relevant areas as herbs and supplements, holistic nutrition, anatomy and physiology, and more. ExpertRating certification exams and courses are very reasonably priced. Therefore, you can build your resume rapidly and in a way that fits your goals. You can creatively build your brand, while being credible and holding yourself to high standards. Ultimately it is experience and performance that make you a master of your craft. However, the courses ExpertRating offers to prepare you for certification will give insight into what you need to know to succeed. Certifications signal consumers that you are reliable, which should be mutually beneficial. To really succeed, always make sure that you give what you promise, but do not overstate your abilities. In the field of alternative medicine, it is important to realize that you are generally complementing conventional medicine; so, focus on the general health and comfort of your patient, but do not overstate what you can do for him/her. If you want to be involved in healing but are not sure that alternative medicine is right for you, consider the related areas of medical coding and medical billing coding. ExpertRating offers a course/exam for certification in these in-demand areas. These are great certifications for those who are not drawn to hands-on interaction with people. If you like the idea of a more administrative role, consider ExpertRating’s variety of office-related skills certifications. Perhaps you would like to be a pharmacy technician or a medical scribe; if so, ExpertRating has certifications for these and more. ExpertRating’s Certificate in Complementary and Alternative Medicine is an excellent consideration for the person who wants to practice alternative medicine in a holistic way – with awareness of the entire field and how it is different from conventional medicine. The basic areas of alternative medicine are covered: energy healing; spirituality and health; cultural competence, which is the awareness of how to treat people of different races or ethnicities; healing environments, which is the design of buildings or external spaces to promote healing; bodywork healing; traditional Chinese medicine; artistic interventions – such as music, art, dance, humor, animal therapy; and Ayurvedic medicine. Even if you really want to focus on one area, it is so helpful to understand the entire field, so that you know where you fit in. In many instances, this course/exam counts as CE (continuing education) contact hours. However, it is important to check with the organization from whom you seek certification, re-certification, or licensure – to be sure this course is accepted. However, either way, completion of the program gives you a paper certificate of your certification. Therefore, you have a resume and credibility piece, even if a given organization does not recognize your work. There are many schools of alternative medicine and various subareas, such as chiropractic medicine. However, certifications show that you have knowledge up to a certain standard. This is a great way to distinguish yourself and to show skeptical patients that you are at the top of your field and are probably a safe choice. ExpertRating makes studying easy, since the exam and material are from the same source. However, passive acceptance of the material might not be enough for some. If you are someone who learns through doing, seek internships or mentorships that allow you to network and gain hands-on skills. If you are a conceptual learner, consider looking at other sources and asking your own research questions to deepen your learning. It might seem that being outside of conventional medicine is less-than-ideal. Similarly, you might question whether any role other than medical doctor or registered nurse is all that helpful. However, every role is important. In fact, this is becoming more and more the case. People are realizing the ways that modern Western medicine has let them down: they are trying to avoid the systematization that disregards individual needs; they are trying to focus on health and wellness, rather than just fixing problems once they become unbearable (and expensive). This is why you hear more and more about Yoga and non-conventional diets, such as vegan and gluten-free. Ironically, while people are trying to break out of the system, there is really a need for a more effective system. People still develop illnesses that clearly need the conventional medical approach, but the costs and waiting times are unsustainable. Being an administrator, assistant pharmacist, medical technologist, or IT professional is a way to make a difference in this very important area.